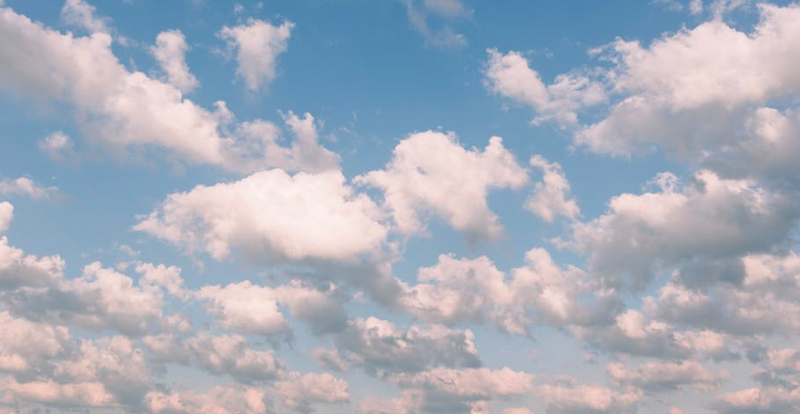 IDC estimates that this year cloud will account for 50 percent of all IT expenditure, validating the massive shift away from traditional data center deployments in favor of cloud solutions. More and more organizations are divesting from on-premises IT solutions, freeing them up to focus on driving business and moving away from managing blinking lights. Our partners’ customers are looking for agility, speed and scale. They can’t afford to wait for traditional IT, which they increasingly view as cumbersome and an impediment to agility. Cloud gives them flexibility and access to on-demand resources. But the cloud market is changing, too, as organizations are leveraging multiple cloud providers and being more savvy with their IT spend. This disparate and hybrid cloud landscape presents our partners with opportunities as well as challenges. To help them make informed decisions for their customers, Ingram Micro’s cloud business unit has developed a tried-and-tested, nine-stage go-to-market strategy—the Ingram Micro IaaS framework—that’s designed to enable resellers to successfully build and execute a successful IaaS practice. This framework systematically offers them the skills, tools and capabilities they need to bring an IaaS prospect from recruitment all the way through to ongoing management and support. Recognizing the demand for consumption-based IT, we formed our cloud division in 2009. It has since grown to more than 1,250 dedicated cloud associates worldwide, with a platform that manages 27 million seats, hosts 30 of the world’s largest cloud marketplaces and has over 80,000 resellers on its channel marketplace. Formally announced this year, Ingram Micro CloudBlue, came to being through the integration of a series of leading cloud tech acquisitions, resulting in an integrated suite of cloud solutions and services. More than 200 leading ISV solutions are now available through CloudBlue, in 47 countries, 7 languages and 14 currencies. Hosted on Microsoft Azure, CloudBlue provides a simple yet powerful, intuitive portal where resellers can consolidate, automate and provision many different cloud offerings—including the leading IaaS solutions—on one bill that’s easy for their customers to understand. The platform is extendable and can incorporate a reseller’s own value-added services. To ensure our partners’ success, Ingram Micro Cloud has wrapped comprehensive services around the delivery of CloudBlue, including strategic consulting, managed services and support, and education and training. For those partners who require service help, Ingram Micro IaaS Lifecycle Services offers resources at every phase of the customer journey—including discovery and assessment, architect and design, proof of concept and migration. In a recent IDC report, the analysts seem to agree that there’s a bit of a shift in cloud consumption: 80 percent of organizations are looking to repatriate data from public cloud, and 50 percent of public-cloud-hosted apps will be repatriated over the next five years—businesses are seriously considering both on- and off-premises private clouds. The decision to go hybrid is based on multiple concerns, including cost, security, performance and control. The initial rush to public cloud was supposed to solve all of the IT organization’s budget issues. However, while not having to invest in infrastructure saves a lot of time and upfront expense, there are often nasty surprises in monthly public cloud invoices. Lack of visibility can mean virtual machines are often left running and consuming resources—and those charges can add up quickly. And once an organization wants to pull down data, there’s the high cost of bandwidth to be concerned about. What’s more, with public cloud organizations are often tenants in a multitenant environment, so they’re actually sharing physical resources with lots of other companies—which can present a security risk. At October’s Ingram Micro ONE event, we announced Ingram Micro Hybrid Solutions. This new class of offerings will give resellers the opportunity to position and sell a solution that addresses the needs of customers who are operating in a hybrid world. Built, managed, monitored and hosted by Century Link, this new, hosted private cloud provides a single-tenant environment, consisting of a four-node cluster of HPE hyperconverged servers running best-in-class VMware virtualization. Ingram Micro partners can sell this cloud to their customers, who will receive one bill every month—with a fixed cost, regardless of how much or how little they use the cloud services. In the past, organizations that were looking for a private cloud would have had to build and manage the infrastructure themselves—which involves significant upfront costs and resources. Now they can enjoy the benefits of having a third-party build, manage and secure it for them, freeing them up to focus on delivering business outcomes. Of course, for those customers who want to build and manage their own on-premises private cloud, Ingram Micro has an extensive line card of leading data center technologies. We also offer expert training and service resources to help resellers build, deploy and manage one for their customers. Whatever cloud option resellers and customers decide is the best for their needs, Ingram Micro Cloud can help make it happen. Karl Connolly is Ingram Micro’s chief technology officer for major accounts. Find out why co-managed SIEM helps IT teams increase expertise and efficiency.